As soon as you catch a glimpse of the burgundy and gold train you know the journey will include more than the most extravagant of the experiences complete with royalty, elephants, private viewings and unexpected surprises. But even with the highest of expectations, it is hard to envision what truly awaits at the end of the red carpet. A butler greets you, bows and gives you an ear to ear grin. He knows it – you are about to be wowed for 7 days straight. That’s right, there are a lot of unique experiences that the Maharajas Express offers. I am not talking about expensive shows or rare foods. I am talking about a journey that is made of moments that are simply not available to the independent unconnected traveler. I am about to tell-all so if you don’t want me to spoil the surprise, I suggest you jump to the next story. What was so special that we couldn’t have organized by ourselves on the Maharajas Express train ride? 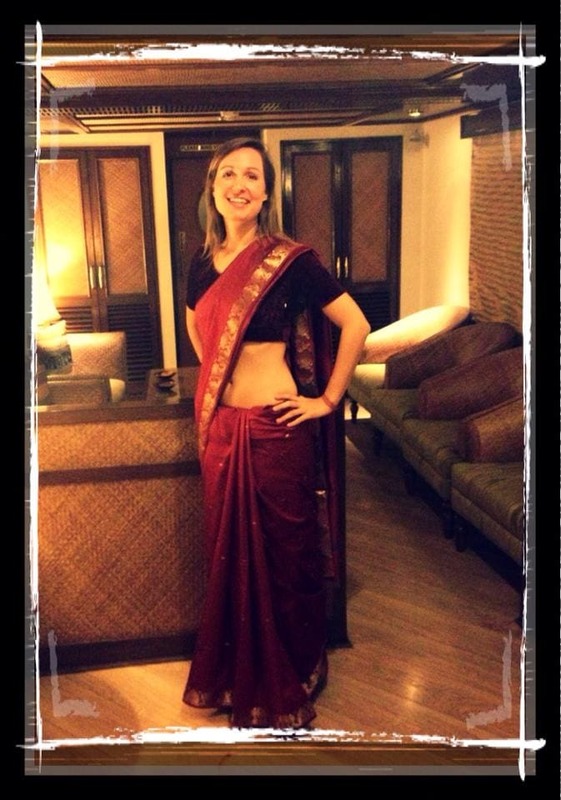 Our trip coincided with New Year’s Eve and the crew put together our own Bollywood party. They had organized a New Year’s dinner at the Sheraton but by 1am everybody had headed back to the train. But not to sleep! The staff had brought out the CD player and were playing Indian music for everyone to dance and, of course, there were choreographies and Bollywood moves for everyone to enjoy and our own personal dance teachers. I can’t say that this happens on every journey but given their fantastic dance techniques, I would be inclined to believe they find an excuse on every journey. Where there is will, there is way. The Taj Mahal is a sight to behold. If you actually manage to see it. In our case, we got the most unique of the photos: one without the Taj on it. It was so absolutely foggy on the day that the photos gave a new meaning to the word “typical”. We couldn’t actually see the fabulous love homage in all its splendor but I think the thousands of photos I have seen through the years from all angles suffice. However, what was a good replacement was the breakfast that followed our early morning sightseeing. 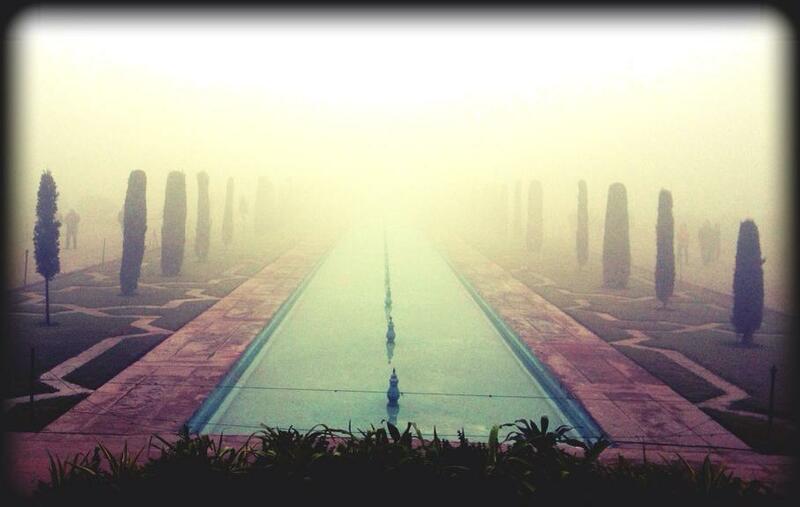 On top of the hill, at the Oberoi Hotel, with champagne, overlooking the Taj. Talk about exclusivity, luxury and perspective. I would assume this is one of those things that one could book independently but we got our own separate entrance, petal dotted path and tent with heaters which made it possible for it to be hosted with the view in the middle of the freezing winter. On the last night, when we got back to our room, we had an Indian outfit for the evening folded on our beds for us to wear. Everybody had different outfits based on gender and age. The little girls had a different sari to mine and we got one of the members of the staff helping to put it on. Needless to say, this made for an interesting photo shot and a new party outfit if I ever need to dress up, as these were ours to keep. The amount of effort that went into matching outfits of couples, families and guests of different ages was astonishing so we actually did look good, it wasn’t just a dress up outfit. That’s right, we got to drink opium. For someone who lives in a country where drugs receive capital punishment I couldn’t wait to get some. Just kidding. Outside of Jodhpur we visited a Bishnoi sect living in a rural barren hut in the middle of the dry Rajasthani desert and we were treated to an opium ceremony. Now, this is not a pass-the-joint type of gathering or a Chinese dark room filled with smoke but something done to greet and welcome visitors. A ball of opium is mashed down into powder on a bowl and water is added. We were given the opportunity of sipping some of the liquid from the host’s hands. Needless to say, either I had formed a very dream-driven image of the effect of drugs, or that was a very thin opium mixture. I felt nothing. Nothing at all. Bishnois are known for their opium rituals and because they are conservationists willing to give away their lives to save trees. As they did in the 1700s when some of them hugged the trees to avoid them being cute and ended up being beheaded with the trunks. The Maharaja, when he found out, decided to respect them and stop cutting the trees and the government has always turned a blind eye at the use of opium for ceremonies. Even if it is used for welcoming tourists. Again, perhaps something we could have organized independently but, do you know how to find someone who will give you opium to try in a country where it is illegal? Neither do I. 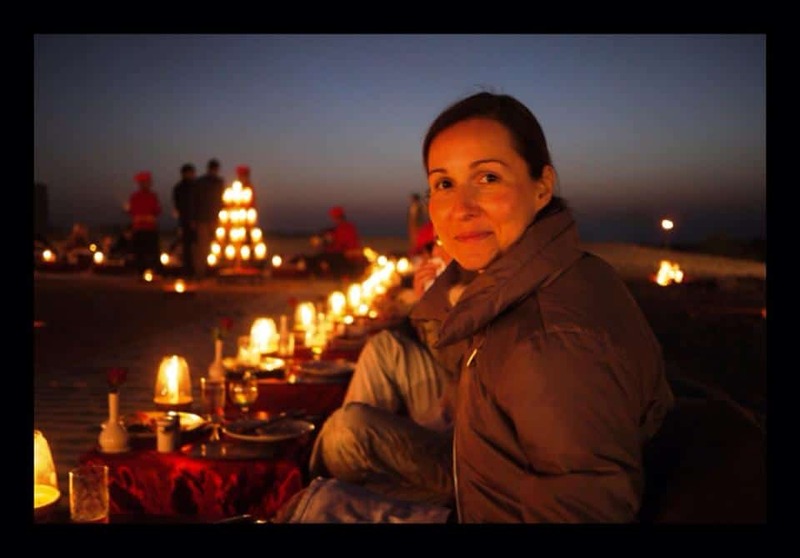 Dinner under the stars, with only candlelight to illuminate our meals, the dancing and singing of the skilled artists and a desert barbecue. We are seated on cushions and fed delicious food. We arrived at the Thar desert on a donkey cart. We could have taken camels as well. Or walked, the stroll wasn’t that long anyway. But they made sure guests didn’t have to make any effort among the soft slippery dunes. We were, again, royalty. Going back home, after 10 days of regal treatment and Indian hospitality at its highest standards was rather underwhelming. It all just seemed so… simple. But I was glad that my bed didn’t rock from side to side.